First Round Frenzy: Which Leaf faces most scrutiny entering Game 7? The Buffalo Bills were allocated former England international wing Christian Wade, the club announced on Monday, as part of the NFL's International Player Pathway Program. 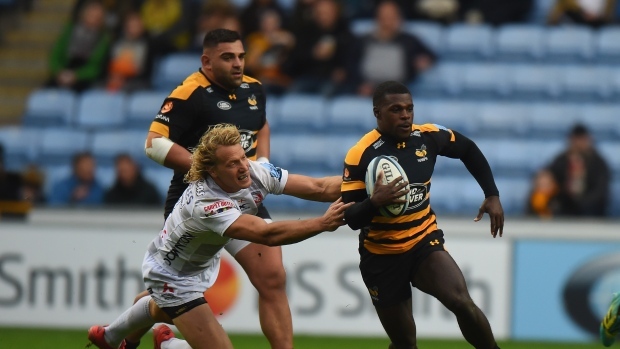 A projected running back, Wade, 28, is third all-time in tries (82) in Premiership Rugby history, making 159 appearances over eight seasons with Wasps. In 2016, Wade equaled a Premiership record with six tries in a single match against Worcester. Wade was capped at all levels of rugby union and made seven appearances for England's sevens team. Any player in the International Player Pathway Program does not count towards a team's 90-man roster. This exemption carries over into the regular season allowing for an 11th practice squad member, however, the player would be ineligible to be activated during the season.